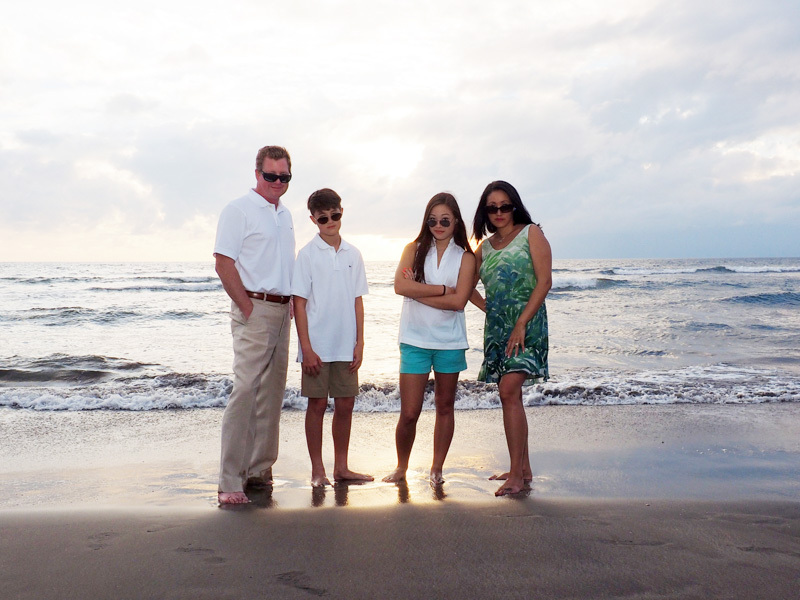 2017 Highlights is an audio-visual slideshow compilation of the year’s individual, couple and family portraits. 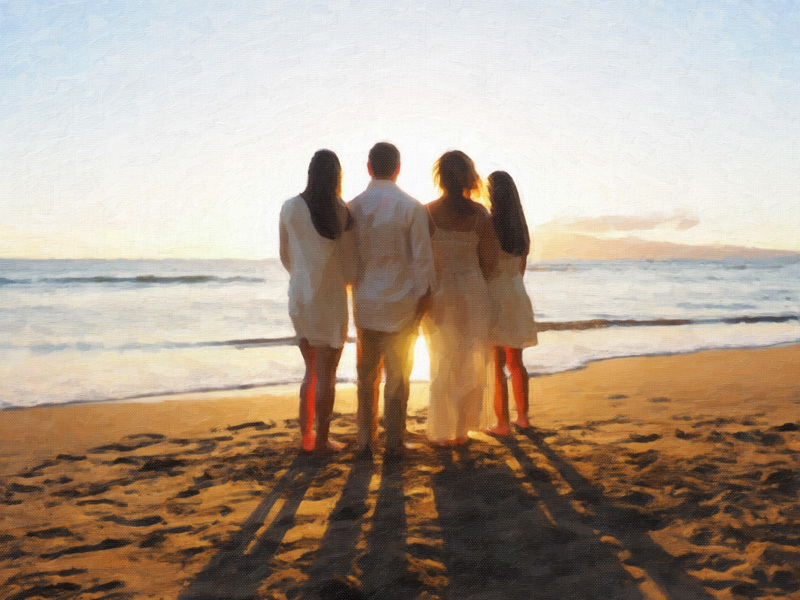 “Oh my goodness…These pictures are incredible!! 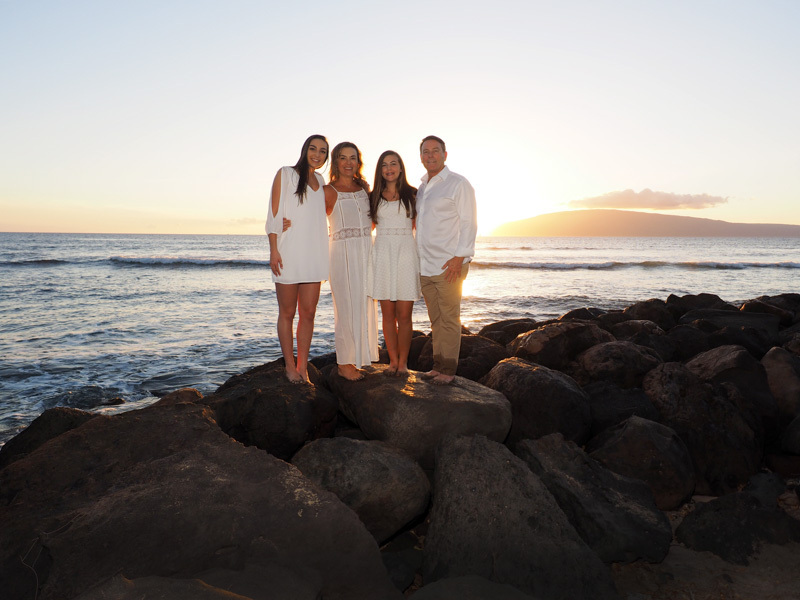 Thank you so much for capturing our family in the beautiful Maui sunset. 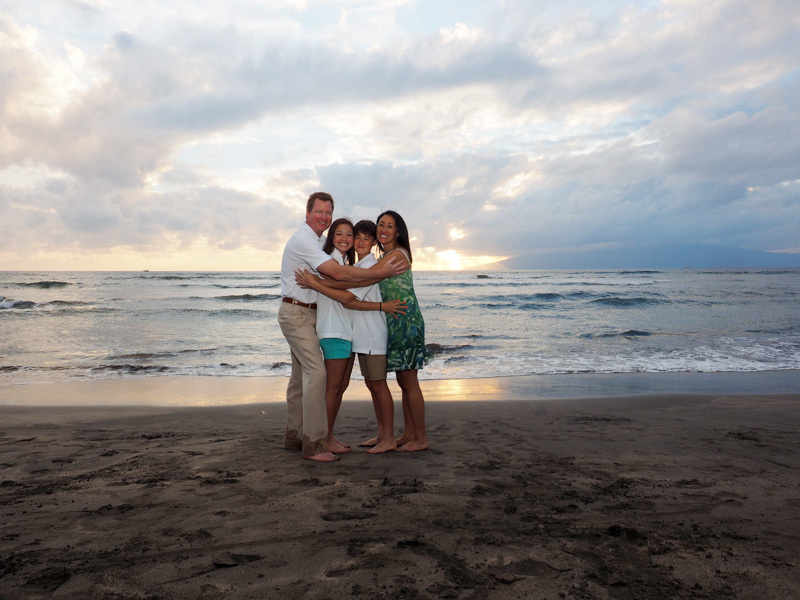 You’ve done an amazing job & I can’t thank you enough for the memories you captured. 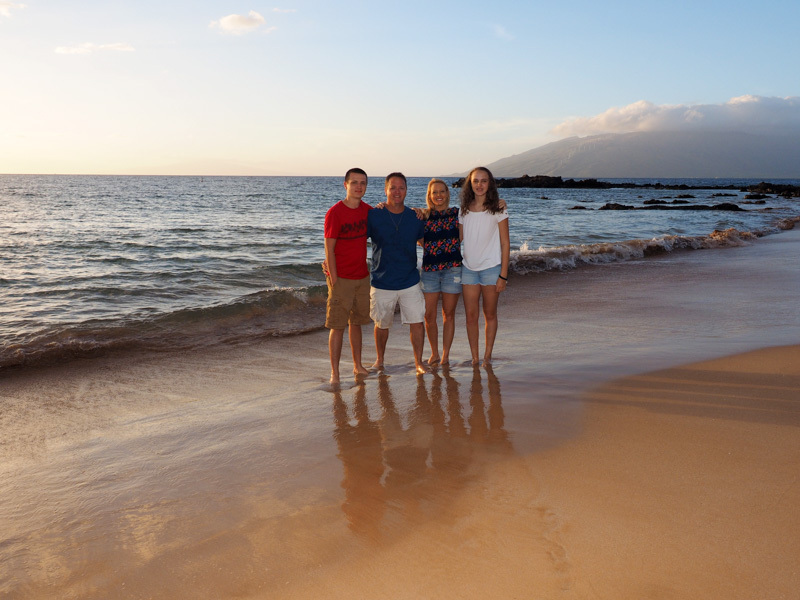 These pics make me want to be back that Maui beach!” – Jill B., and family, 1/2/18. 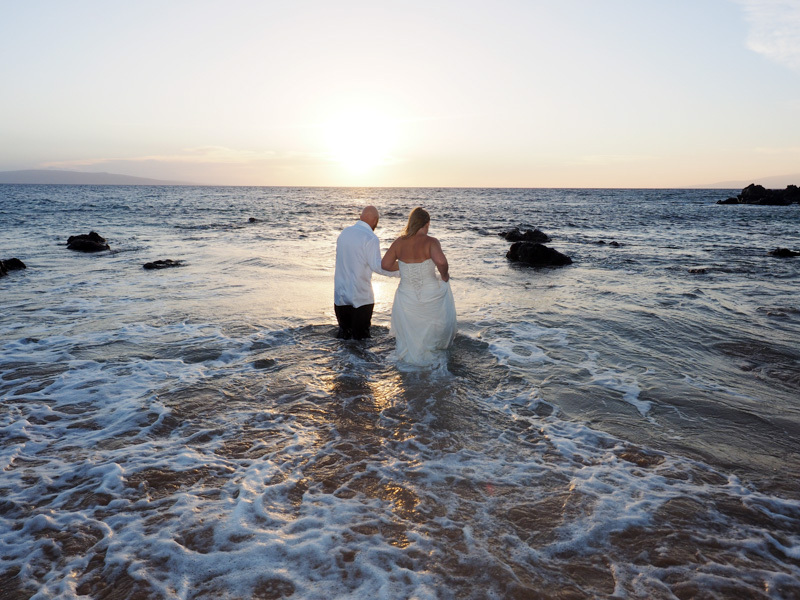 That Maui beach is Kamaole III Beach Park, in south Kihei. 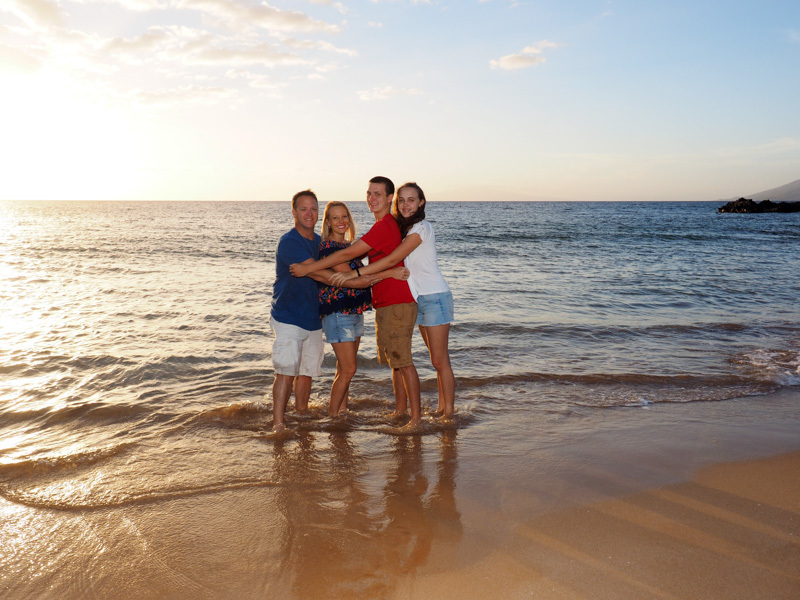 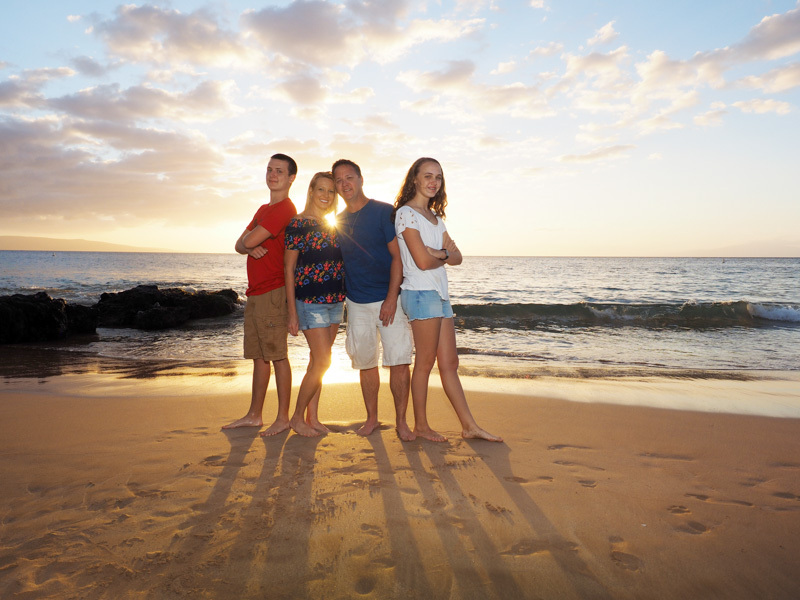 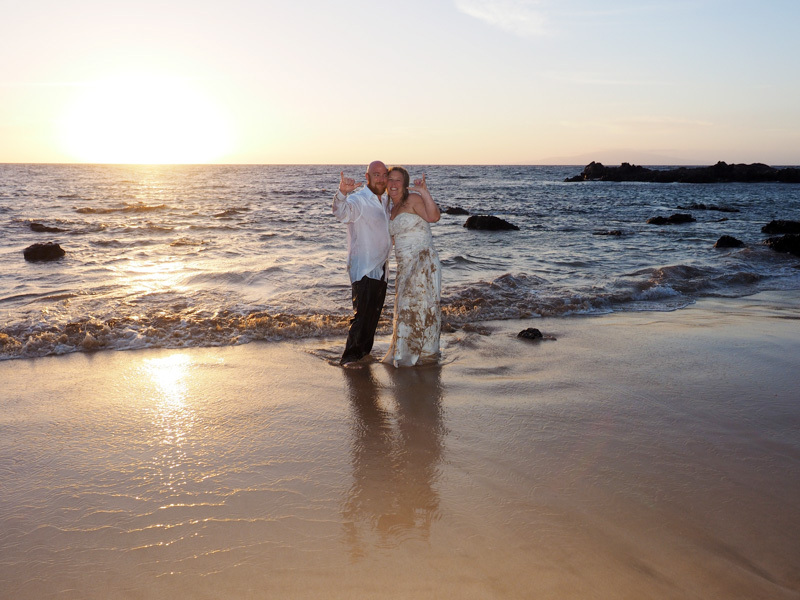 It is a very scenic location, ideal for happy family sunset portraits on Maui. 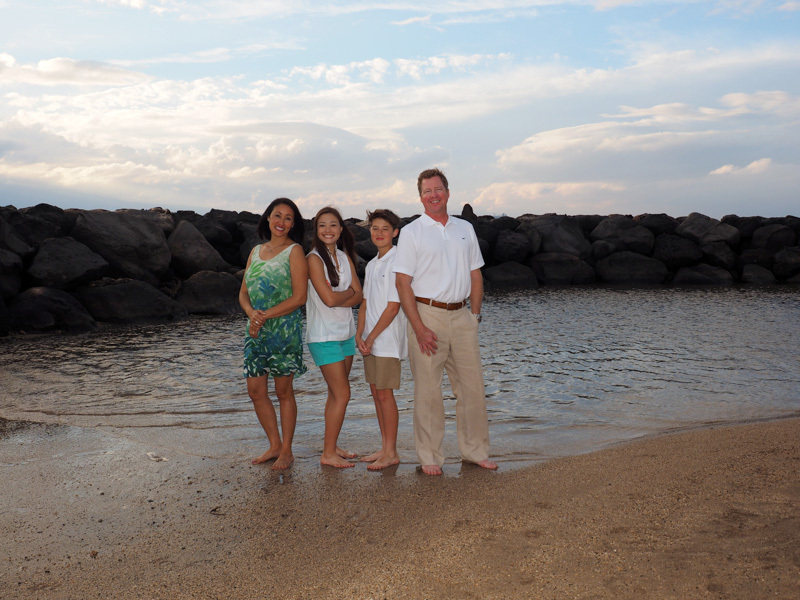 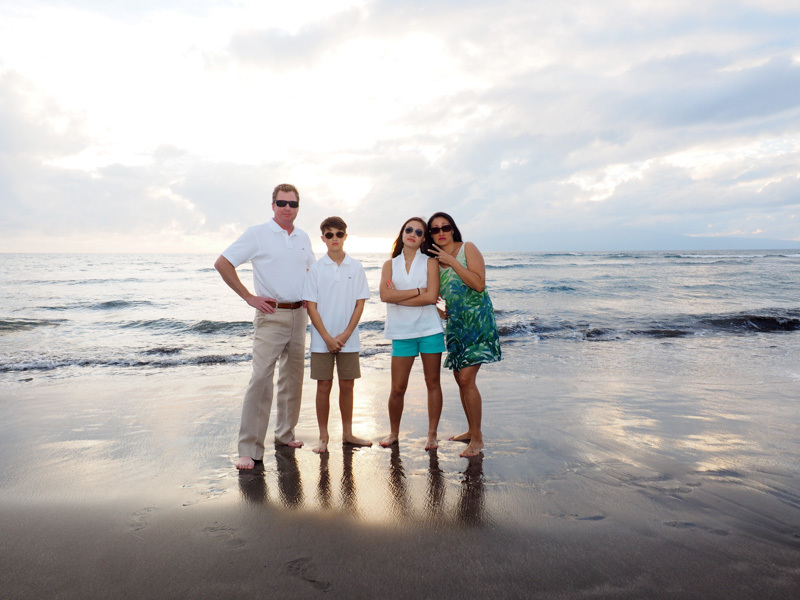 Family portraits on a Maui beach is often a fun experience. 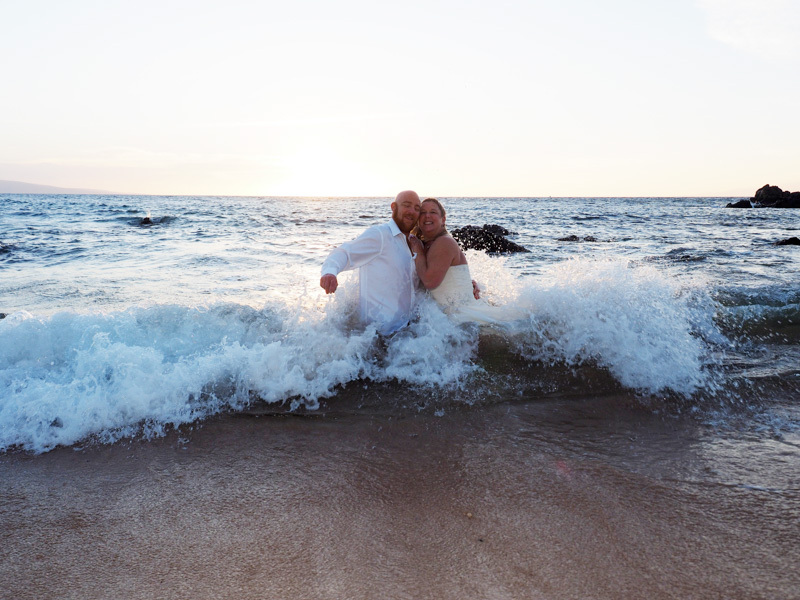 We not only have time to enjoy the scenery, the sunset, the warm air, the sky, the sand, and talk story together, we also capture elegant images in the camera, which you then receive as a digital file which are yours to keep and from which you can print and share as you like. 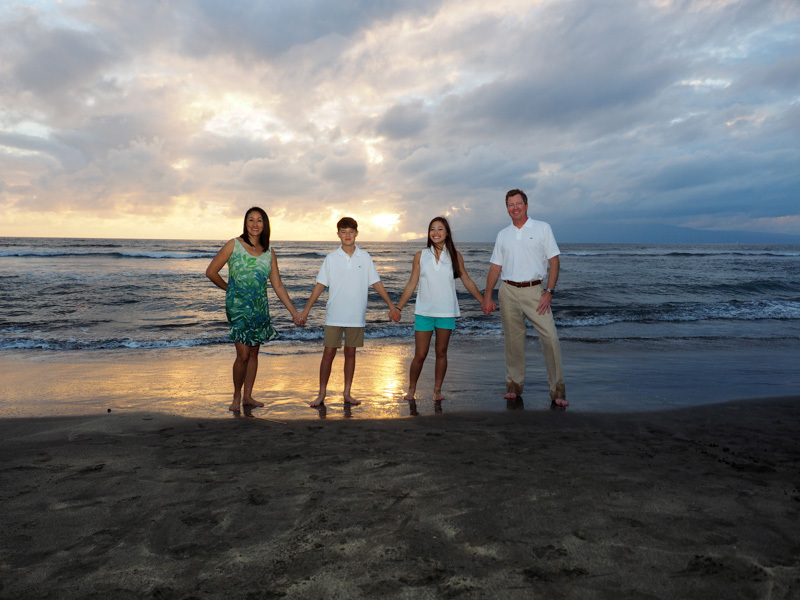 A family portrait session takes about an hour. 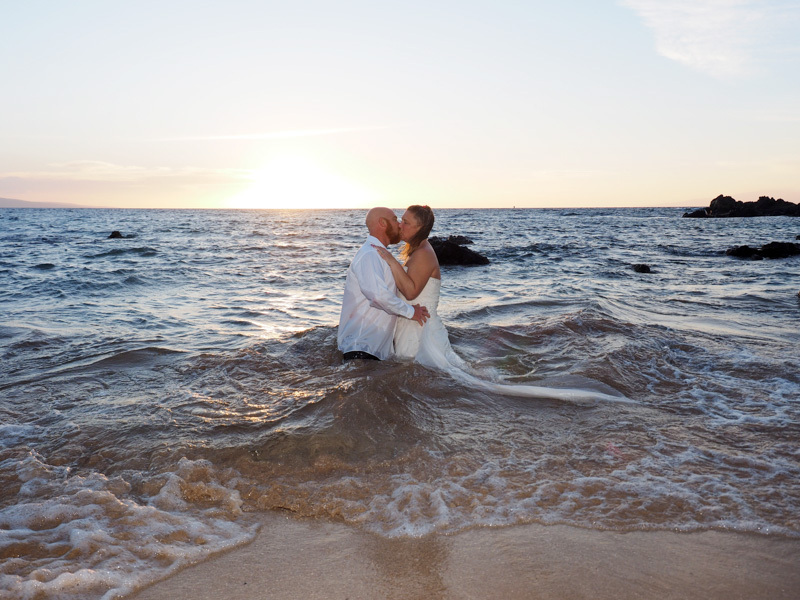 Every sunset is different, making your photo shoot session one of a kind. 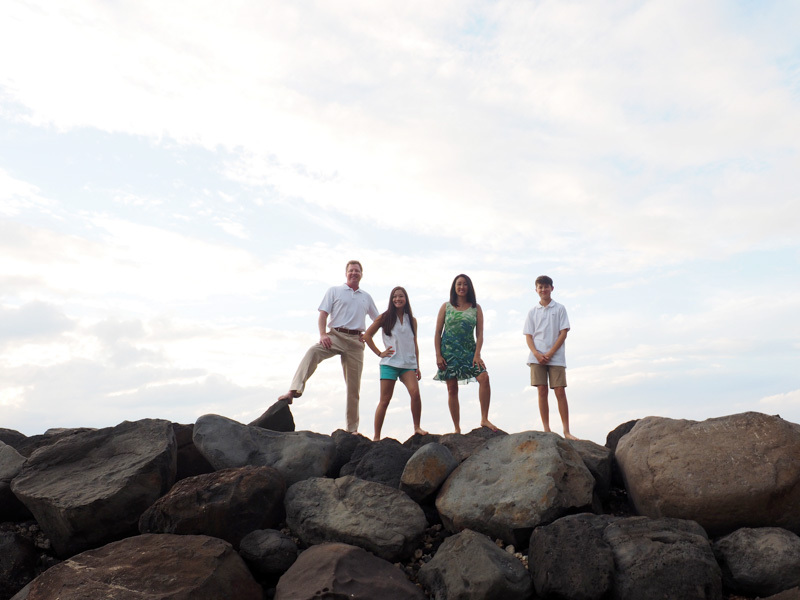 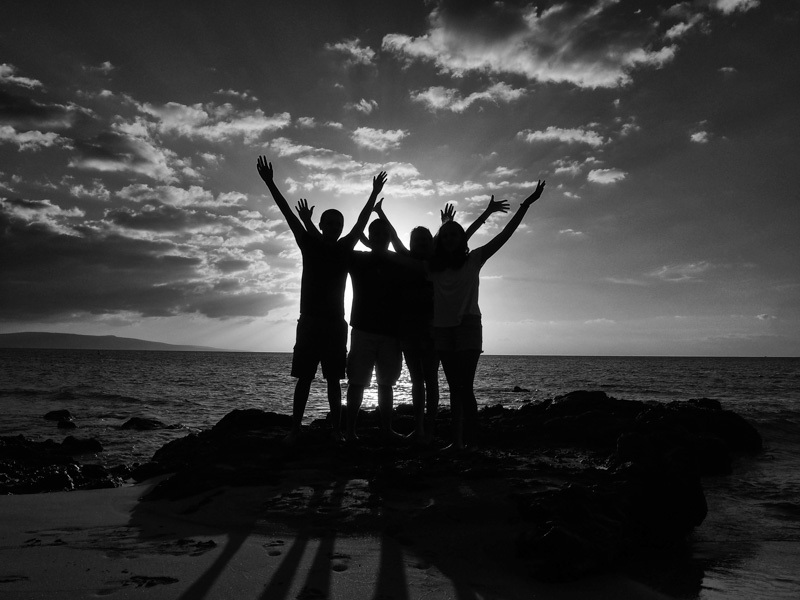 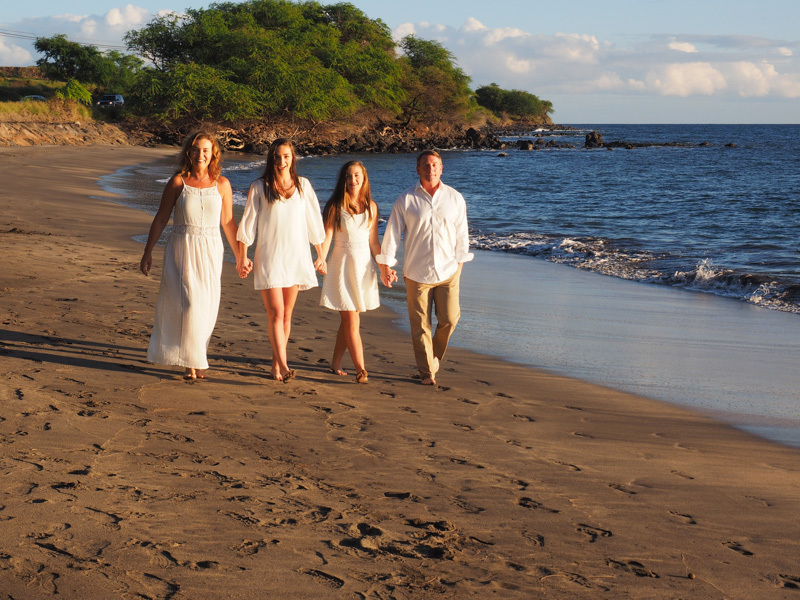 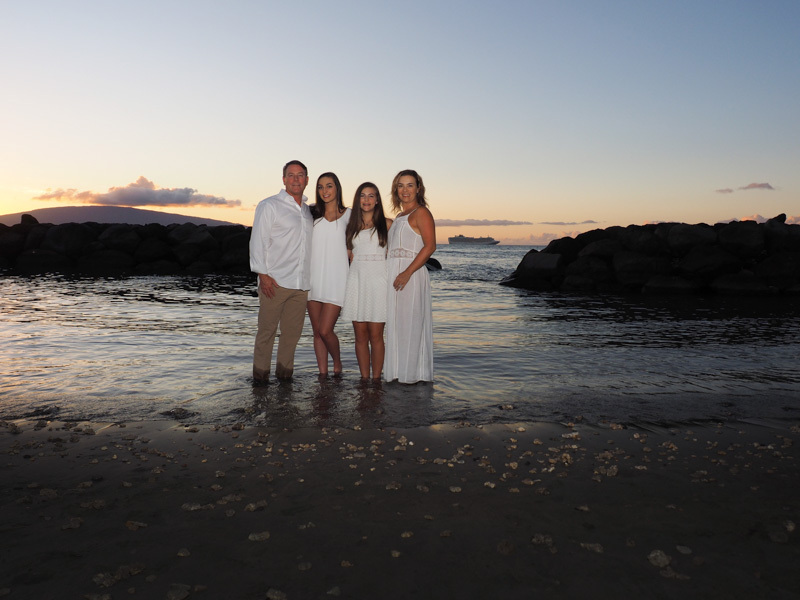 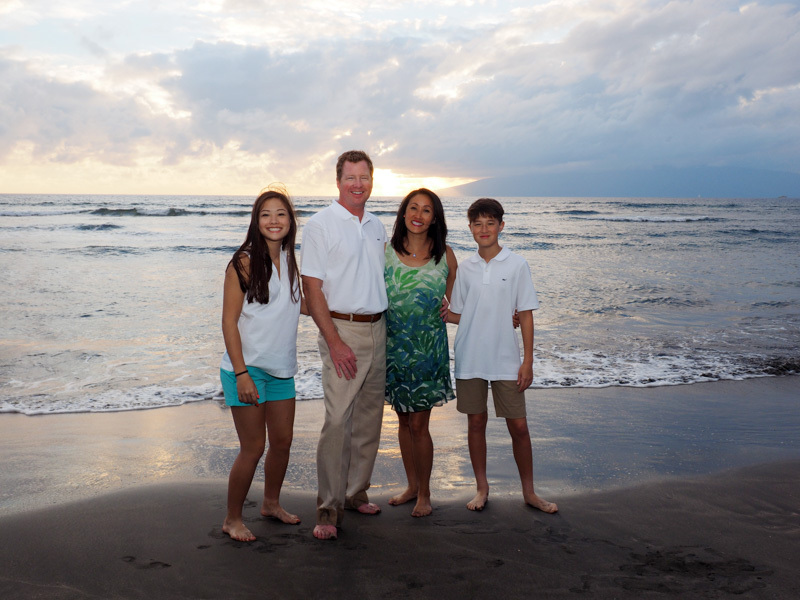 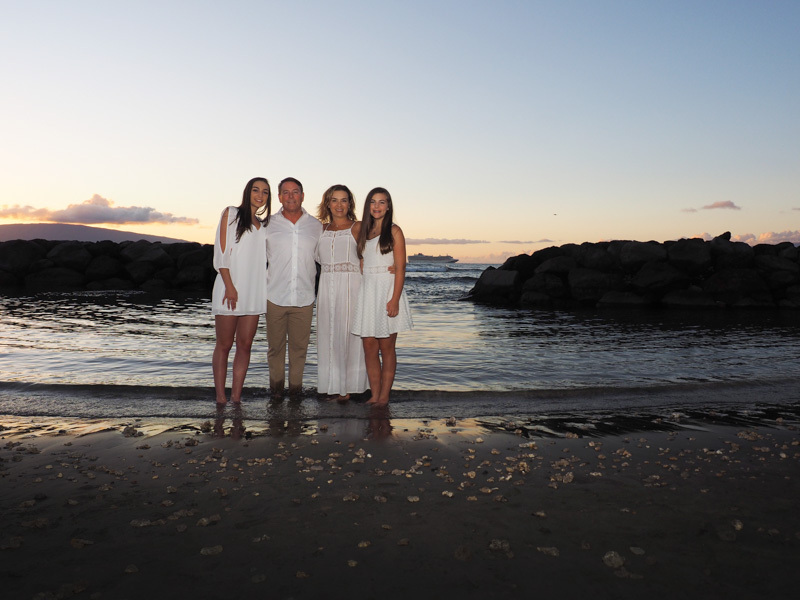 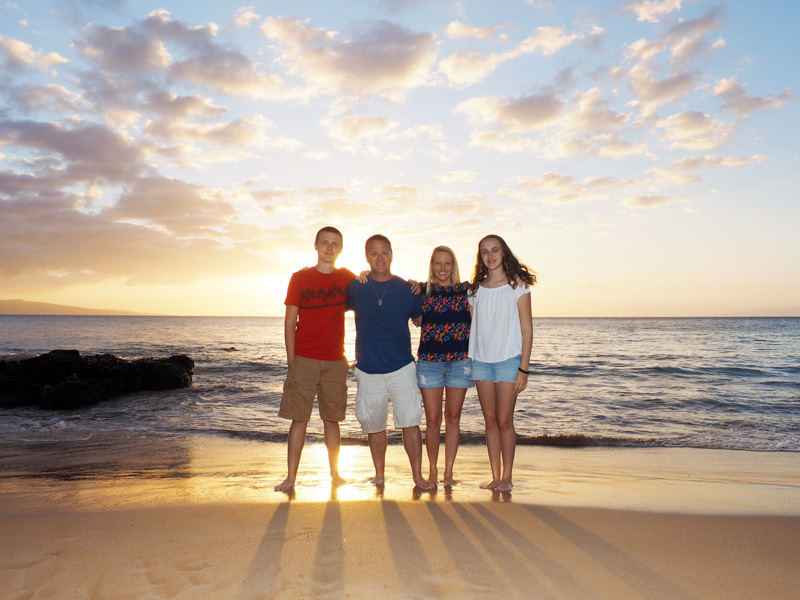 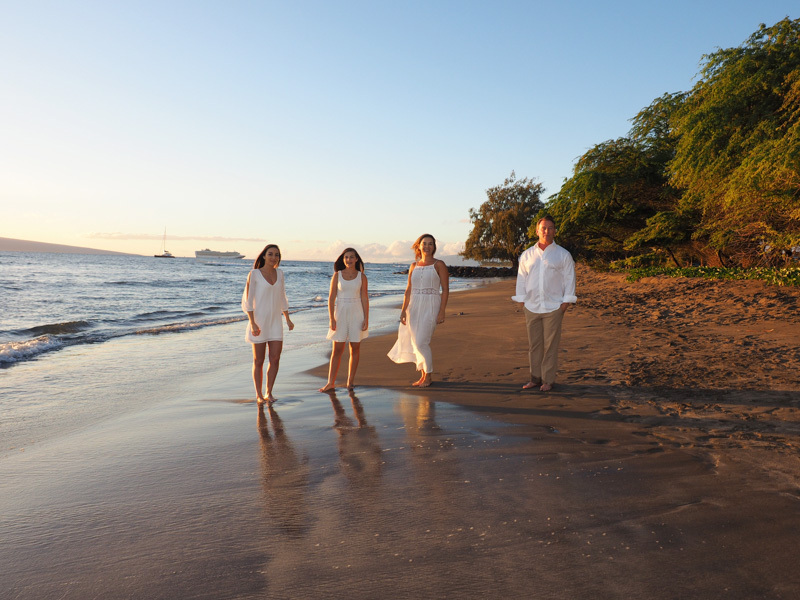 Maui Island Portraits specializes in family portraits on the beach, at sunset. 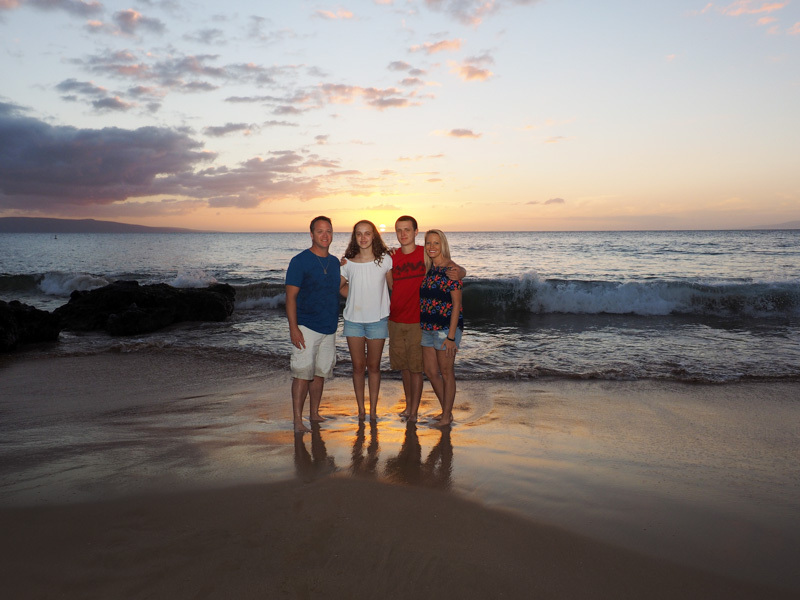 Maui has some beautiful beaches and the sunsets are often magnificent. 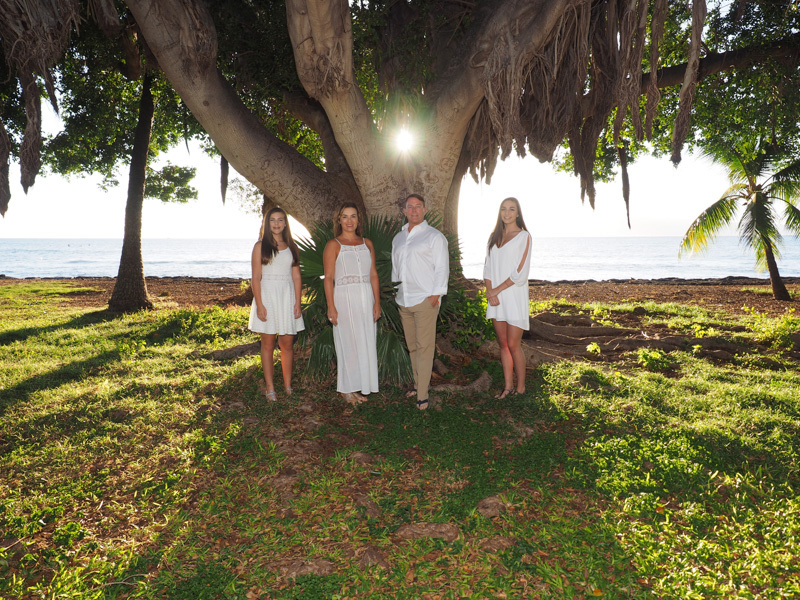 A family portrait photo shoot is fun, with a valuable take away product, over several dozen high resolution images you will cherish for a lifetime. 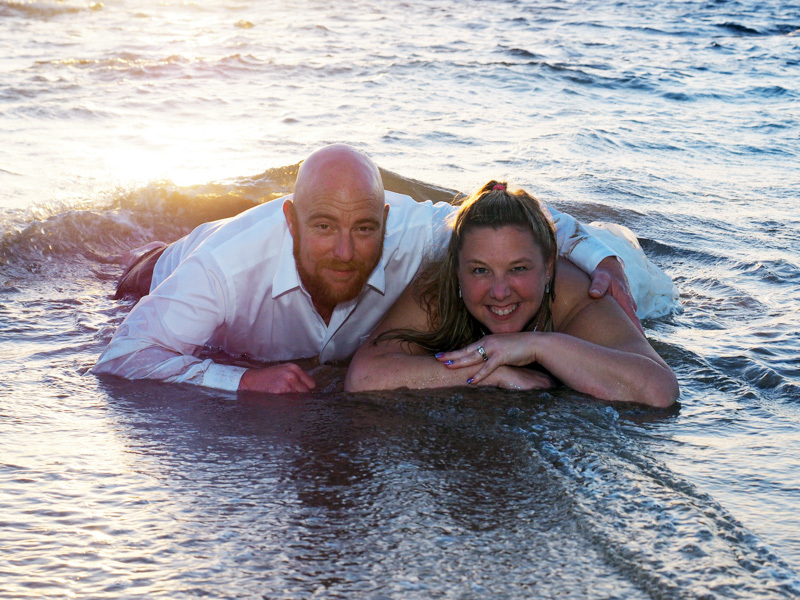 A photo shoot takes about an hour, usually at a nearby world-class beach. 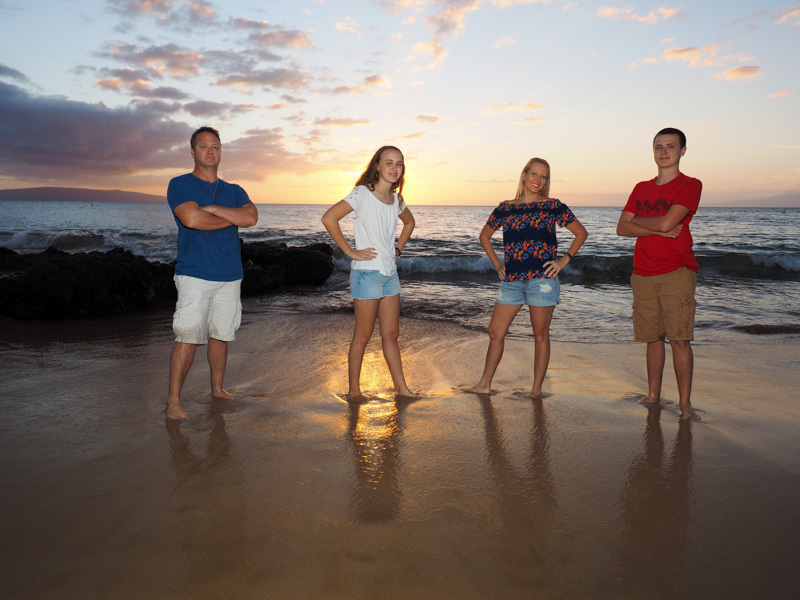 Give us a call to book your own photo shoot activity. 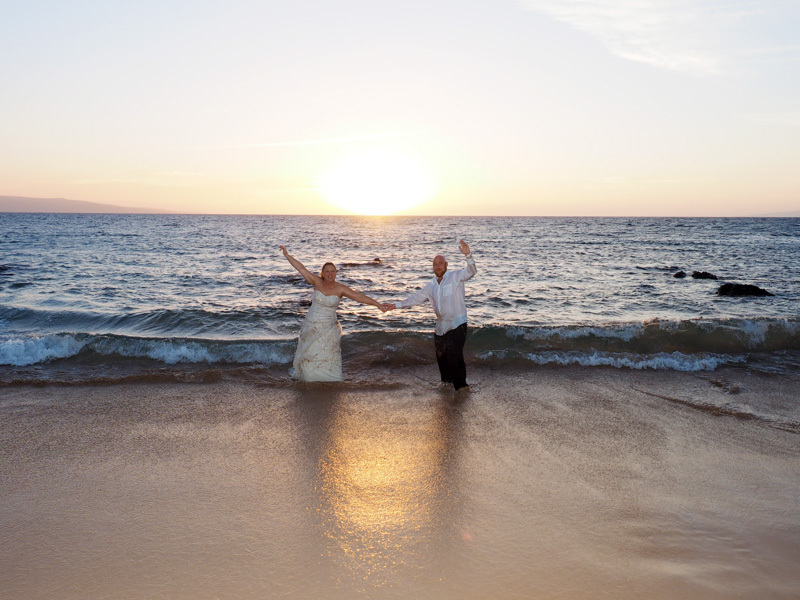 And, if you’d like to know more about what to expect, visit our galleries or blog posts, and check out our FAQ page.